In recent years, as in the private sector in local governments, information technology (IT) has changed management approach. Many researchers argue that the use of IT in local governments causes structural changes in the organization, but it is not at the same level for each institution. The adaptation of the use of IT in local governments has been examined under two headings as e-service for citizens and intranet adaptation for institution employees. Within the scope of the study, a survey was conducted with expert managers working in 2 different metropolitan municipalities. In this context, the effects of machine bureaucracy, organizational routine, staffing restrictions and risk-taking culture factors on e-services and intranet adaptation are examined in this paper. As a result, findings obtained without study were discussed and contributed to the literature. Son yıllarda yerel yönetimlerde özel sektörde olduğu gibi bilgi teknolojileri (BT), yönetim anlayışını değiştirmektedir. Birçok araştırmacı yerel yönetimlerde BT kullanımının organizasyon içerisinde yapısal anlamda değişikliklere sebep olduğunu fakat bunun her kurum için aynı seviyede olmadığını tartışmaktadır. Yerel yönetimlerde BT kullanımının adaptasyonunu, vatandaşlar için e-hizmet ve kurum çalışanları için intranet adaptasyonu olarak iki başlık özelinde incelenmiştir. Çalışma kapsamında 2 farklı büyükşehir belediyesinde çalışan uzman yöneticiler ile anket gerçekleştirilmiştir. Bu kapsamda, makine bürokrasisi, organizasyonel rutin, personel kısıtlamaları ve risk alma kültürü faktörlerinin e-hizmetler ve intranet adaptasyonuna olan etkileri incelenmiştir. Sonuç olarak çalışmadan elde edilen bulgular tartışılmış ve literatüre katkı sağlanmıştır. Ahn, M. (2010), “Adoption of E-Communication Applications in U.S. Municipalities: The Role of Political Environment, Bureaucratic Structure, and the Nature of Applications”, The American Review of Public Administration. 41,(4). Becker M., Lazaric N., Nelson R. ve Winter S. (2005), “Applying organizational routines in understanding organizational change”. Industrial and Corporate Change, 14(5),ss.775 791. Bozeman, B. ve Kingsley, G. (1998), “Risk culture in public and private organizations”, Public Administration Review, 58, ss.109 118. Bozeman, B. ve Rainey, H. G. (1998). “Organizational rules and the bureaucratic personality.”American Journal of Political Science, 42, ss.163 189. Büyüköztürk, Ş. (2006), Veri Analizi El Kitabı, 6. Baskı, Pegem A Yayıncılık, Ankara. Çetin S. (2005), “Yerel Yönetimlerde Stratejik Yönetim”. Türk İdare Dergisi, 449, ss.93 100. Daft, R. L. (1982), “Bureaucratic versus non-bureaucratic structure and the process of innovation and change”. In Bacharach, S. B. (Ed. ), Perspectives in organizational sociology: Theory and research ss. 129166). Damanpour, F. (1996), “Bureaucracy and innovation revisited: Effects of contingency factors, industrial sectors, and innovation characteristics”. The Journal of High Technology Management Research, 7, ss.149 173. Dewar, R. D. Ve Dutton, J. E. (1986). “The adoption of radical and incremental innovations: An empirical analysis”. Management Science, 32, ss.1422 1433. Feldman, M.S. (2000), “Organizational routines as a source of continuous change”, Organization Science, 11, ss.611 629 Fountain, J. E. (2001). Building the virtual state: Information technology and institutional change, DC: Brookings Institution. Washington Furlong, S. R., ve Kerwin, C. M. (2005). “Interest group participation in rule making: A decade of change”, Journal of Public Administration Research and Theory, 15, ss.353 370. Gant, D., Gant, J., ve Johnson, C. C. (2002). State web portals: Delivering and financing e-service. Washington, Gülseçen S. (2015). Bilgi Yönetimi Bilgi Türeticileri, Büyük veri İnovasyon ve Kurumsal Zeka Üniversite Yayıncılığı. Hage, J., Aiken, M. (1969). “Routine technology, social structure, and organization goals”. Administrative Science Quarterly, 14, ss.366 376. Hawkins N., Wright D. ve Capewell S. (2013). “Heart failure services in the United Kingdom: Rethinking the machine bureaucracy”. International Journal of Cardiology. 162(3), ss.143 148 Ho, A. ve T.-K. (2002). “Reinventing local governments and the e-government initiative”. Public Administration Review, 62,ss.434 444. Ho, A. ve Ni, A. (2004). “Explaining the adoption of e-government features A case study of Iowa county treasurer’s offices”. American Review Of Public Administration, 34(2), ss.164 180 La Porte, T., Demchak, C. C., ve De Jong, M. (2002). “Democracy and bureaucracy in the age of the web: Empirical findings and theoretical speculations”. Administration & Society, 34, ss.411 446. Laudon K ve Laudon J. (2011). 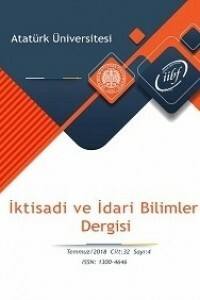 Management Information Systems: Managing the Digital Firm, Genişletilmiş 11. Baskı, Nobel Yayınevi, İstanbul Li M. ve Feeney M. 2012. “Adoption of Electronic Technologies in local U.S. Governments. The American” Review of Public Administration. 44(1) Mintzberg H. (1979). The structuring of organizations. Springer Moon, M. J. (2002). “The evolution of e-government among municipalities: Rhetoric or reality?”, Public Administration Review, 62, ss.424 433. Norris D ve Moon M. (2005), “Advancing E-government at the grassroots:Tortoise or Hare?”, Public Administration Review. 65(1), ss.64 75 Nye, J. S. (2002). “Information technology and democratic governance”. In E. C. Kamarck & J. S. Nye (Eds. ), Governance.com: Democracy in the information age (ss. 1-16). Washington, DC: Brookings Institution Press. Osborne ve Gaebler 1992. Reinventing Government. Addison-Wesley Publ.Co. Pandey, R., Sanjay K., David H. Coursey, ve Donald, P. Ve Moynihan E., (2007), "Organizational effectiveness and bureaucratic red tape: A multimethod study." Public Performance & Management Review 30(3), ss.398 425. Tolbert, C. J., ve Mossberger, K. (2006). “The effects of E-government on trust and confidence in government”. Public Administration Review, 66, ss.354 369. Uygun Ö. (2002). “Belediyelerde Yönetim Bilişim Sistemleri”. SAU Fen Bilimleri Enstitüsü Dergisi 6(1) Wahid F. (2011). “Explaining Failure of e-governmen implementation in developing countries: A phenomenological perspective”. Seminar Nasional Aplikasi Teknologi Informasi. Wang S. ve Feeney M. (2014). “Determinants of Information and Communication Technology Adoption in Municipalities”. The American Review of Public Administration. 46(3). Welch, E. W., Hinnant, C. C., & Moon, M. J. (2005). “Linking citizen satisfaction with E-government and trust in government”. Journal of Public Administration Research and Theory, 15, ss.371 391 West D. 2004. “E-government and the transformation of service delivery and citizen attitudes”, Public Administration Review, 64(1), 15-27. ISNAD Aydın, Can , Tarhan, Çiğdem , Erdoğan, Gizem . "BELEDİYELERDE KARAR VERME SÜREÇLERİNDE BİLGİ TEKNOLOJİLERİ KULLANMA EĞİLİMİ". Atatürk Üniversitesi İktisadi ve İdari Bilimler Dergisi 32 / 4 (October 2018): 1069-1083.